In this all-new very special miniseries, the Aldens have been recruited by a secret society to return lost artifacts and treasures to their rightful locations—all around the world! The final leg of the Aldens' journey brings them to South America and to the Salt Flats in northern Argentina. But when they hit a dead end, they realize someone has tricked them in order to delay their plans! Returning to Buenos Aires, the Aldens connect with the Silvertons and are able to get back on track. But it is clear their rivals are closer than ever. The Aldens' final artifact is their most delicate yet—a rare orange orchid they must return to Machu Picchu in Peru. With the stakes higher than ever, the Aldens make a shocking discovery about the Silvertons and the Argents. 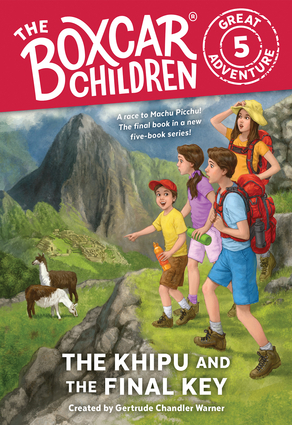 Will the Boxcar Children be able to use what they've learned to return the final Reddimus artifact intact?